1. What is the story behind the 1 million dream challenge? The 1 Million Dream campaign is our lead initiative out of Dream University. The idea is to really change how people, think, speak and act upon their dreams. Instead of it being a “maybe someday,” ”when the kids are gone,” or “when I have extra money,” or “when I retire” dream the real question is: How do you want your life to be and what are you going to do about it? So the idea is that we want people to post their dream on the Million Dreams website. There is no cost to it at all. We just want you to get your idea out of your head to increase the likelihood of it happening by a thousand percent. 2. 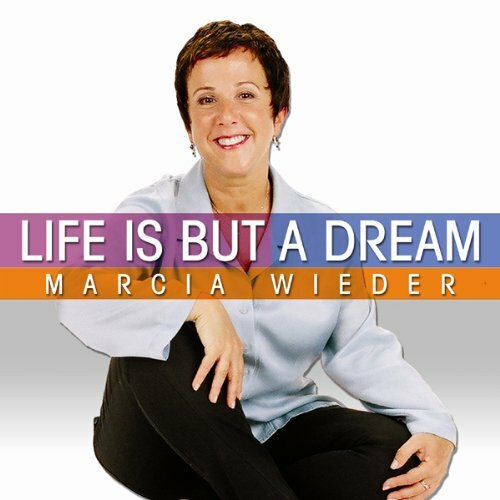 In my experience with 8 Women Dream, I’ve seen people settle on a dream, only to never work on it, or want to constantly change it to something else they won’t work on either. What causes this? It’s like they can’t really figure out what their dreams are. I think this is very common. I’ve seen it in my workshops where half the people don’t know what their dream should be. We are often so mired in reality, so busy living from our clocks and our calendars that we don’t even know what our dreams are. And some people choose dreams that they have no control over, like winning the lottery, which makes putting together simple steps to build their dream an impossible task. I think you are very wise on 8 Women Dream in coaching people to take smaller steps. Bring the dream down to a level where you will feel comfortable working on it. Then it’s more powerful to move towards what you want than to come from a place of moving away from what you don’t want, which is what you have probably watched those dreamers do on 8 Women Dream. So their dream is really to have a new dream and their job is to spend the next 30 days on a “passion quest” to discover who they really are. The answers might be to take a bubble bath, or read a good romance novel. It doesn’t have to be ‘fly to Paris’ — that bigger than life thing. Start small with what makes you feel good. What brings you joy? Start doing more of these things and become aware of what your ‘this feels good’ feelings feel like when you are doing something that you love doing. Another thing that happens during a challenging economy is that people think that their dreams are something soft — like something to do if they have “extra” — like a luxury item. Until I tell them that people with passions and dreams live 7 – 10 years longer and enjoy a better quality of life and that statement usually gets them to sit up and take notice. I am so flattered that you’ve read my books because what you’ve created with 8 Women Dream is really quite extraordinary. I’ve been all over your site and I’ve read a lot of your posts and it’s so juicy … and organic … and engaging that I really, really acknowledge you. I hope you are going to come to my workshop in San Francisco on July 21st so we can meet and see how we can support each other. 3. I know you are big on dream deadlines. 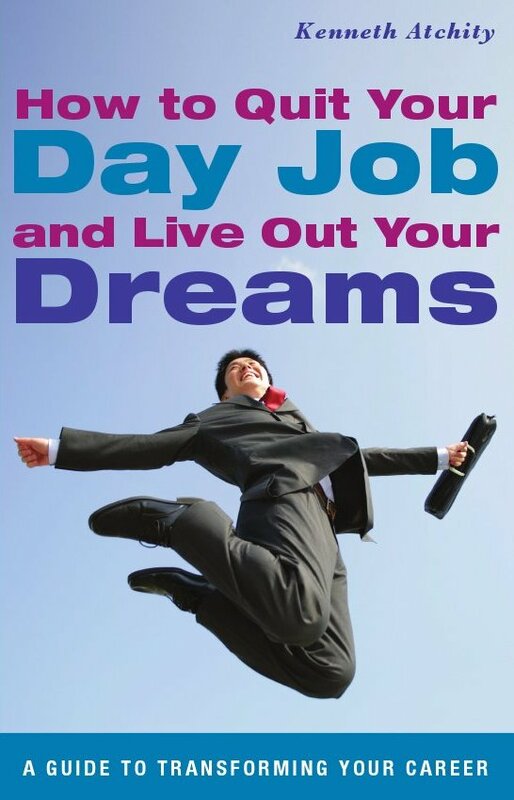 I have seen dreamers flounder at the one year point of living their dream. How do dreamers come up with realistic deadlines that they will use for achieving their dreams? Big dreams or long-term dreams can die when they just plop it on a to-do list, like publishing a book or start a business, which really should be broken down into smaller dreams or dream projects and strategies that can be accomplished in one month or less. Because a month is a short enough time for you to stay passionate and engaged, but a long enough period of time where you can actually produce a substantial result. So if you choose a really big dream, like “to write a book” then by the end of 30 days say, “I am going to accomplish a smaller dream of having the Table of Contents done. 30 days from that I’m going to have my first chapter started,” and so on. You chunk that big dream down into little dreams. Because dreaming is an interesting paradox. The difference between a dream like winning the lottery and a dream strategy is the dream strategy allows you to design a way to complete your dream. The paradox is that if you pick a dream where you can never go to strategy the dream just remains a fantasy or a nice idea. But you also have to be careful because if you go straight to strategy too soon, you often end up compromising the dream down and selling out on it before you’ve allowed yourself the chance to explore the possibilities. People have to find that balance between hanging in there long enough to open to the vision and the greater possibilities, along with other resources, miracles and short cuts — and all that other stuff that comes up as you take your next step, and then the next step so that you actually stay in action. When the dark musician Jedermann gains control of the legendary Gold Baton, Tyler, his sister Christina, and their friends are drawn into a dangerous, mysterious adventure. Guided by the mythical Dr. Fuddle, these explorers journey to Orphea, saving the land from chaos and destruction, and return to earth with the gift of harmony. We're back with Rich Brooks of Flyte New Media to continue our discussion. Rich, we talk a lot about how often Google is shifting their analytics. Thirteen or fourteen months ago there was Panda and now there is Penguin. So that makes generating authentic content on your site even more crucial because of all of these updates. Right? Right, they keep on shifting the sands underneath our feet and they come up with these changes. If you were an optimist you would say they are good changes because what they are doing is rewarding people who create unique and powerful content and they are punishing people who are just scraping that content or creating derivative content. Like any change, there are a lot of good people who get caught in the shuffle and a lot of people who had not been creating content lost a lot of traffic because of Google. That is very frustrating and I feel for the people that did. What I would say is the same thing that I have been saying since almost 1997, which is, just keep on creating content that is valuable to your customer. If you do that, and understand enough of the big picture of the search engine; like put your keywords in the title, put your keywords in the header, use your keywords a couple of times throughout the page. Create keyword links to and from that page. Those are the basics. Those are the things that seem to have not changed over the years and over all of the different changes that have gone on. By creating valuable content, in the long run you are going to win. That has been my belief all along, and it continues to be my belief. No matter what Penguin or Panda, or whatever the next key animal, and whatever comes next. You are going to be prepared by creating quality, valuable content to your end user. Right, exactly. Guest blogging. Inviting people to guest blog on your site? It is very powerful and works both ways. Guest blogging is when I blog on someone else's website or blog. The value for me blogging elsewhere is that I am able to capture their audience and if I write something intelligent I can then lead them over to my blog where they can register or learn more about me or buy something. Likewise, when I am blogging for somebody else, I can create keyword links pointing to my materials and my online presence, so that can also be my search engine optimization. The flipside to that is if I have a blog and I am trying to create some fresh content for it which is more than I can create for myself I can leverage people who are looking for that visibility and their content helps my blog in terms of search engine visibility. Chances are they are also going to promote the fact that they are writing for my blog, which then introduces me to a new audience too. It is kind of a win/win situation. That is great. What do you think about, what are your views on repurposing content? Is it good or bad? I think we might repurpose our content, we might get bored of our own content but chances are no one sees all of our content. If you are writing a blog post that you like but it is kind of an unfinished thought and then at the end of the month you are looking for newsletter content that you might take that same content out at a different angle or polish it up and send it out. I know that not everybody keeps track of my blog and to my email newsletter and reading my website, and my Facebook page. Nobody is going to do all that. So what I feel is the best thing to do is find that one piece of really valuable content and then distribute it through as many channels that seem appropriate to your business. Should you be posting it to a link to your Facebook, sometimes it is just about pulling people in by creating links to those places, but other times you might have an idea and say this is the month that I am going to talk about Google Analytics, or this is the month I talk about dog training, or whatever it is that your business is. You create a calendar where you are blogging about this, you create Youtube videos about this and you are putting out on your social networks and you are focused on one topic for the month. That way it is fine to repurpose your content. They are after people who are literally copy and pasting and putting it to their websites. I don't think there is a whole lot of value in that. But if you are putting up content, these days there are so many different channels. I create a blog post and it automatically updates on LinkedIn, it automatically updates my Twitter feed, and it automatically pulls to my Facebook page. So is that repurposing content? I think more you are just taking advantage of the different channels that are out there. If you build up audiences at each one of those places it only makes sense that you pay them with something of value. You are right. Because people do not enter your message the same way. Some people know you on Twitter, other people know you on LinkedIn and Facebook and whatnot. So I think it is not a bad idea. Talk to me about other tips for blogging, because I want you to chat to me about the event that you have coming up. Just one of the things that I stole from some of the other Internet marketers out there, most notably Amy Porterfield, my friend. I used to send out the entire blog post through the RSS feed, and then I noticed that Amy and a lot of other internet marketers that I respect, were sending out an email that would basically have a very casual tone to it and say that I was thinking about such and such so I wrote a blog post about it and I would love to get your thoughts on it and then there would be a link to the blog. I thought why not put the whole blog post in there, who cares where they read it, whether it be the blog or email as long as your message gets there. And she said that when they come back to my blog, they are more likely to share my content or leave a response. And I am like "duh" how did I not think of that? So lately I have been doing the same thing. Even though it is an extra step, and even though it is a little more work, I go in on my blog and WebWorks rather than just hit the publish button and send it out, I craft a personal message that has the person's name in it and send it out that way then I can attract more traffic than just sending out the entire post. That is fantastic. Yes, Amy is great, we love her. I have interviewed her a few times about her Facebook wisdom which is just amazing. Talk to me a little bit about your event. I know that Amy is going to be there. Yes, this is something that I am super excited about. The Agents of Change Digital Marketing Conference, it is here in Maine on September 14, 2012. I have been doing a great conference these past three years called Social Media FTW. It was three years, it was great, we sold out every years but it ended and I wanted to do something new. I really strongly feel that as much as I love social media I don't believe in putting all the eggs in one basket. Right now I feel the three most important channels are search, social and mobile. So as I played around with that idea I was thinking about a conference name that used the word "accelerate" but I didn't like it, so then I moved to catalyst but I couldn't find the right name for that. And then in the thesaurus I saw agents of change. I am a comic book geek; as soon as I heard agents of change, I am like, we are done, that is the name of the conference. So I worked with a friend of mine who is an illustrator and he came up with the artwork. We are on Facebook and the website. He designed the agent for research, the agent for social, the agent for mobile. Those are the three channels that we will be talking about. And here is the thing; I want you to come to Maine, especially because Maine in September is the greatest place on earth. But I know that not everybody can make it so we are partnered with The Post Network and they are going to produce a live video stream of the conference, so you can watch it live or watch it afterwards. We are going to have people from all over the country, all over the world. We have got Chris Brogan, author of Trust Agents. Amy Porterfield, as you mentioned, author of Facebook Marketing All-in-One For Dummies. And then one of the smartest men, or at least smartest marketers that I know, Derek Halpern who is the man behind Social Triggers. Three great presenters. We have already sold one ticket to somebody from overseas. It is going to be very energetic and I really want to show that Maine is a great place to visit, live and do business. That is great! I am so excited about this conference. And you have got all these rock stars, right? I think it was the tequila on the rooftops that convinced them to do it. But the bottom line is they are coming, it is going to be a great day, we are going to really focus on what businesses and organizations can do to improve their search engine visibility, their social media and their mobile. Really put together a mobile plan because I think that too many of us were not ready for the mobile revolution. You are absolutely right. I want to commend you because I just think education is so important. People need to get out and network with other people in this industry. Really just get out and learn and stop being afraid of the Internet. A lot of businesses are intimidated. You are right; they don't know where to start. I think that is part of the problem and so hopefully people are ready, most companies have a website, they have a Facebook page and now it is about how to use those. I think with mobile a lot of people are like, I don't even know where to start. That is going to be a part of the conference too. How do you create a mobile campaign? What do you do? What are the first steps? So that is going to be some of the stuff we talk about as well. Awesome! Rich, thank you so much for making the time for this session. Good luck with the conference! When psychologist Daniel Rinaldi is called from his practice to the scene of a bank robbery, he has no idea just how much trouble is coming his way. As a consultant to the Pittsburgh Police, he aids with traumatized victims at crime scenes and the police need to question the lone survivor of a gory scene where hostages were killed at the bank. Soon Rinaldi is caught in a swirling morass of suspicion, kidnapping, murder, and politics. Death threats against the District Attorney, who is running for governor, further complicate the investigation. Then a reporter asks Rinaldi to accompany him on a journey to question a man who claims to have evidence of corruption by the DA. The reporter wants a psychologist’s take on the honesty of the man. The journey takes Rinaldi into a harrowing situation where he barely escapes with his life, and any evidence may have been lost or destroyed. Author Dennis Palumbo is a licensed psychotherapist in private practice. Formerly a Hollywood screenwriter, he is the author of the mystery collection From Crime to Crime. His short fiction has appeared in magazines. 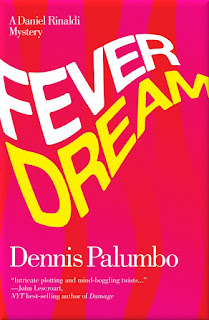 Fever Dream is his second novel. 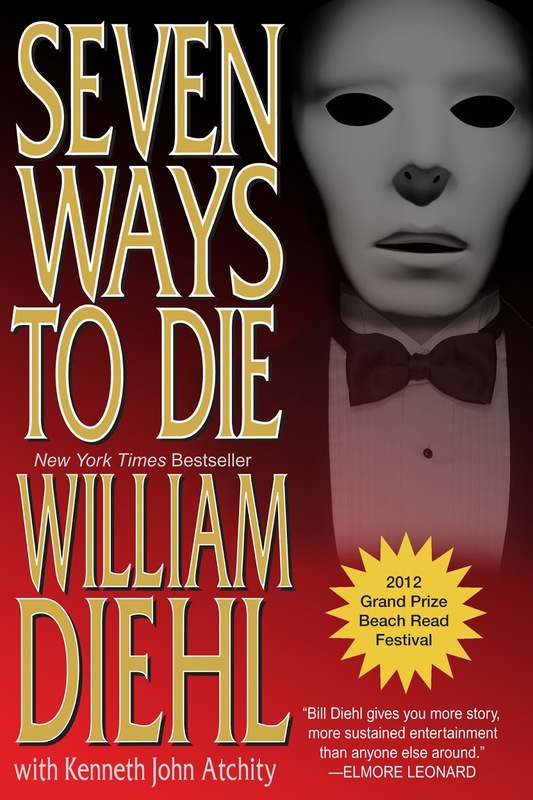 While the plot of this novel is a complex tale woven from several threads, it is a thoroughly amusing and enjoyable romp. The brisk pace and intelligent writing about the adventurous and heroic psychologist will leave the reader wanting more. 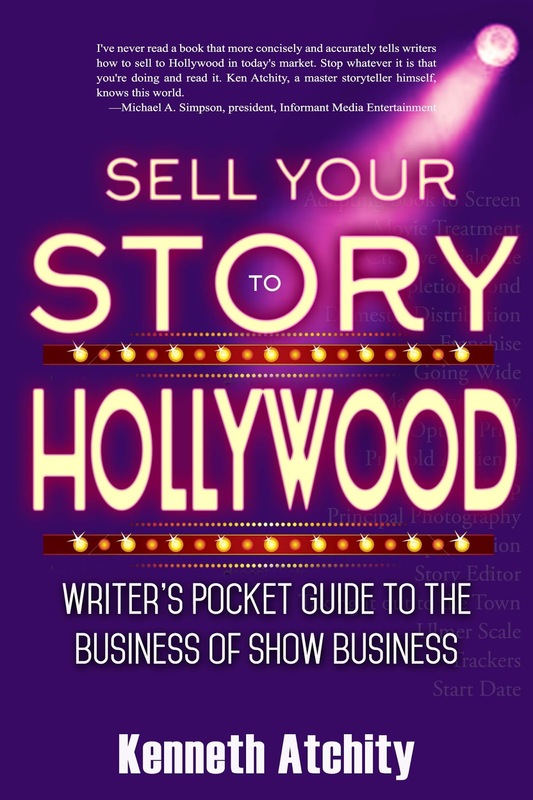 Pitching your ideas to producers, TV networks and film studios is one of the realities of the creative life. Whether you’re a director hawking a supernatural thriller franchise to Paramount, an actor hoping to produce and star in a prestige historical film for HBO, or a comedy writer trying to sell a sitcom idea to NBC, you’re part of a time-honored tradition of artists offering the promise of their talent to someone with the money to pay for it. I know this aspect of the creative life quite well. 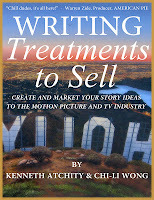 Prior to becoming a psychotherapist, I was a screenwriter. Before that, a staff writer on sitcoms. I’ve free-lanced episodes, too, and done my share of pilots. In other words, I took meetings. Lots of them. Something like a thousand, over eighteen years. Most were pitch meetings, selling my ideas, my craft, myself to others. A producer and I were pitching a film at a big studio. We met with two executives, a male and a female, late on a Friday afternoon (already we were in trouble). About half-way through the meeting, the man left to take an urgent call. Moments later, the woman excused herself to go to the rest room. After waiting about twenty minutes, the producer and I sort of wandered the halls, peeking into empty cubicles. We figured each exec thought the other would cover the rest of the meeting. In any case, the place was deserted. As we drove off the lot, I said to the producer, “Gee, they missed the best part of my pitch.” Only I said it somewhat more colorfully. Pitching is something that comes up constantly in my therapy practice. At the very least, for most artists, it’s a difficult and often dispiriting experience. For some, it’s literally terrifying. My problem with these strategies, even the ones that appear to work, is that they’re all an attempt to hide the artist. He or she “hides” behind the pitching technique, using it as a shield against what might emerge in the meeting. By that, I don’t mean its professional outcome; I’m referring to the feelings that might be set off within the artist. Samuel Johnson said, “Adversity introduces a man to himself.” Likewise, I think pitch meetings introduce a creative person to him or herself. That’s what makes them so frightening for so many people. A potent realization for him, and one that we saw applied as well to his fears about pitching. He experienced a pitch meeting as an event that ultimately defined how okay he was, how acceptable. Perhaps even how entitled he was to be there. As a result, his defense against the powerful feelings of shame that might emerge if he failed to sell his idea was to work harder on the story, prepare more diligently, practice the pitch with friends, etc. What he needed to do instead---which became the focus of our work together---was to challenge the underlying assumption; namely, that if the pitch didn’t result in a sale, this defined him as unacceptable or inadequate. I think it’s important for creative people of all stripes to explore what’s underlying their fears and expectations about pitching, so that they can develop better tools for alleviating the more painful aspects of the experience. But it’s also important to remember that pitching is a difficult task for just about everyone. To convey to others what’s in your mind and heart is hard enough, let alone convincing them to pay for it. Let’s face it, that’s practically a recipe for anxiety. However, as the late Rollo May reminded us, anxiety is a necessary component of any creative act. Which even pitching can be, in the right circumstances, when our fears are accepted with humor and compassion, and our convictions and enthusiasms can be engaged. And the other guy hangs around long enough to see it. He called her “Mrs. Kennedy.” She called him “Mr. Hill.” The Secret Service agent responsible for first lady Jacqueline Kennedy’s protection was with her in good times and bad. He is credited with saving her life. In his new book “Mrs. Kennedy and Me: An Intimate Memoir” (co-authored with Lisa McCubbin), Clint Hill describes his protective service responsibilities guarding the intensely private Mrs. Kennedy from the election of John Fitzgerald Kennedy, in November 1960 until after the election of Lyndon Johnson in 1964. “It was with great trepidation that I approached 3307 N Street in Georgetown on November 11, 1960,” Hill writes about his first meeting with the wife of the newly elected president of the United States that he had just been assigned to protect. “I wasn’t looking forward to it at all.” Looking back, he feels quite sure that the first lady was filled with even more anxiety about their meeting than he. “Neither of us had much choice in the matter,” he reflects, but eventually they would share a “tragic bond” together. He was with her when her son John was born, when her second son Patrick was born and also unfortunately when Patrick died; he was right there, too, when her husband President Kennedy was assassinated. You can’t help but wonder how his life is now and whether some of those experiences still haunt him. Does a national tragedy like the murder of a president ever recede into the distance? Mrs. Kennedy was an immensely private person and he wondered how she handled being with someone night and day. “It was discretion and my ability to allow her to do those things she wanted to do so that she was both safe and in a private manner,” Hill remembers. “She loved her privacy and that’s the one thing I tried to give her — absolute privacy as much as possible.” It seemed to work for both of them. On hearing of Mrs. Kennedy’s illness, Hill relates in his book the thoughts that ran through his mind. “For the briefest of moments, I had thought about calling her.” But when he rehearsed in his mind what I might say, he couldn’t seem to find the right words. After rising through the ranks of the Secret Service, Hill retired in 1975 as assistant director responsible for all protective forces. He remains in contact with the current U.S. Secret Service and is actively involved in training activities. See more in the Summer 2012 Issue of Washington Life Magazine. All of those qualities come through in “Mrs. Kennedy and Me,” the memoir Hill co-wrote with journalist and television reporter Lisa McCubbin about the four years he spent by Jackie’s side, from the time her husband was elected president until the election of President Johnson in 1964. “Mrs. Kennedy and Me” is a candid, but respectful memoir written by a man who considered Jackie a dear friend, even though he always called her Mrs. Kennedy and she always called him Mr. Hill, usually with a twinkle in her eye. He traveled to foreign countries with her that he never thought he’d see and she made sure he learned how to water-ski. He paced outside the hospital room as John Junior and Patrick were born and he spent more time with the Kennedy children than his own during those years. Jackie was a deeply private person who was surprised and dismayed at the crowds that would gather every time she left the house. Hill prided himself on finding ways for her to just enjoy her privacy, and even did her personal shopping for her at times when the scrutiny was intense and the kids needed Christmas presents. In what became the worst hour of his life, he also was part of the motorcade in Dallas and was the Secret Service agent closest to the limousine when the President was assassinated. He managed to jump onto the back of the limo before the third shot was fired but it was just too late for him to do anything but get Jackie back in her seat as the car accelerated. Hill and McCubbin traveled to all the most important sites in the book so McCubbin could see them in person. They started in Hyannis, but then visited Palm Beach, New York City, Dallas and Middleburg, Virginia, where Jackie was trying to build a private retreat from the prying eyes. During their research, they also reached out to other Secret Service agents and Hill relived those glory days and swapped stories. McCubbin says she was like “a fly on the wall,” and those stories enhanced the book immensely because they brought up other memories. Then they set up an office in D.C. with two computers and worked side by side for nine months, doing research to make sure Hill’s memory matched news archives and the other agents’ notes and recollections. Although I knew from the book blurb more or less what The Messiah Matrix was about, I wasn’t quite prepared for the unique combination of carefully researched material and breathless adventure story. The subject matter of The Messiah Matrix is controversial, even for someone like me who has no religious leanings, and I expect it will cause a stir in the religious community, and with those of the Catholic faith in particular. Father Ryan McKeown goes about his daily duties as a Jesuit priest in Rome, not realizing that his life is about to change forever. One fateful day, he hears the confession of a man who claims to have just killed a priest, and then witnesses the murder of the same man on the streets of Rome. Before he takes his final breath, the murderer whispers the message he came to deliver to Father Ryan, a message that will send Ryan on a dangerous search for the truth about the origins of Jesus Christ. Emily Scelba is an archeologist working on an undersea excavation in the Mediterranean Sea when she discovers a Roman coin called the Augustan aureus, whose existence may throw into a tailspin everything the world has come to believe about religion. 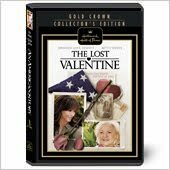 Emily takes the coin to a trusted friend to have it cleaned and examined, but her “friend” turns out to be a dishonest opportunist and steals the coin and tries to sell it. Ryan and Emily are thrown together as they search for the coin and try to unearth the connection between the aureus and the murdered priest, a man named Oscar Isaac that both of them knew and respected, and who was also searching for the aureus. Their discoveries lead them on a hunt through the streets of Rome and into hidden crypts and catacombs, and put them face to face with the men who not only ordered Isaac killed, but who want to keep hidden the dangerous secrets of the Catholic Church that could lead to religious chaos if discovered. Although filled with exhaustively researched details about how the story of Christ came to be, I was surprised by what an exciting and page-turning read this was. Atchity does a great job of interspersing the historical facts with nail-biting action sequences that propel the story along. One particularly terrifying scene has Emily and Ryan trying to escape a secret catacomb by diving into a boiling, underground river and swimming to safety. The characters of Ryan and Emily are fascinating and well drawn. Ryan is a man who takes his vows of priesthood very seriously, but who has also been on a personal mission his whole life to validate his beliefs. While his days as a priest should be worry-free and filled with the joy of the duties he performs, he comes across as a tortured soul who has a deep need to know the truth. When his belief system begins to crack, he realizes he may need to adjust his thinking in order to cope with the new information he and Emily have discovered. Emily too is an interesting character. She’s a smart and beautiful woman, also driven to seek the truth, but her pursuits are more scholarly than Ryan’s. When they get together the sparks fly in more ways than one. Infusing romance between lead characters is nothing new, in fact most readers come to expect it. But Atchity throws a wrench into the romance by making his male character a priest, and this gives Father Ryan something else to worry about: he is attracted to a woman, but according to his vow of celibacy he can’t do anything about it. The author imparts much of his researched information through flashbacks to the days of Caesar Augustus, the first emperor of Rome. 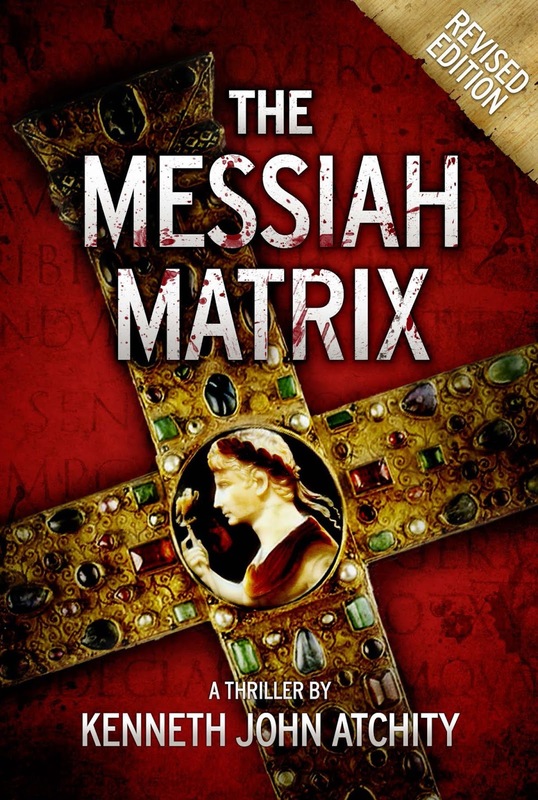 These chapters not only immerse the reader in the rich history of Rome, but give great insight into the main premise of The Messiah Matrix: that the “myths” of Jesus Christ and his birth that we are familiar with from the Bible came from a combination of many sources over time, originating with Augustus. 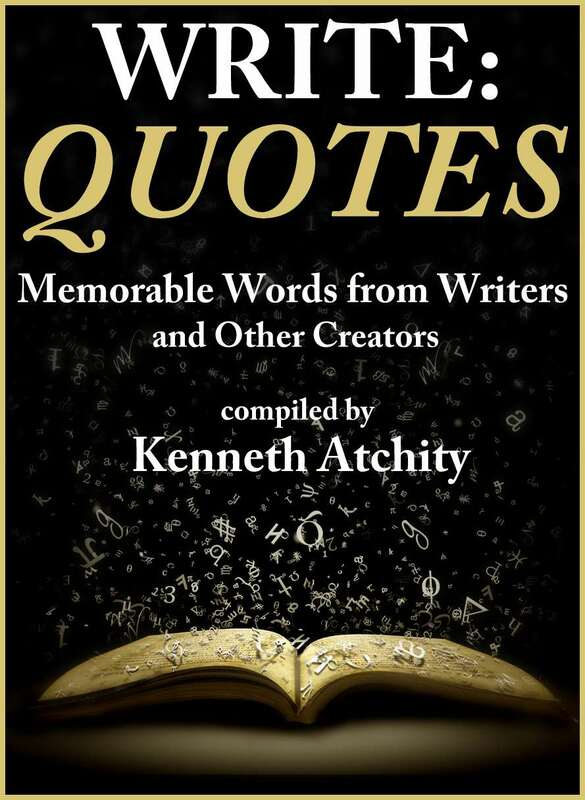 Atchity smartly imparts this controversial information without too much emotion, leaving each individual reader free to decide for himself what may or may not be true. The only flaw in the story, in my opinion, is the ending, where his secular and scholarly observations turned a bit preachy. But I was riveted by the tales of religious iconic imagery, like the cross and Jesus’ crown of thorns, and the actual origins of these images (at least according to Atchity). The author also includes a table of events at the back of the book that gives the reader an easy-to-understand comparison between his researched facts and the events of Jesus’ life highlighted in the Bible. You can purchase The Messiah Matrix here and learn more about the book here. Hysteria - Promotion With Heart! - Thank You Mr. Woodruff!! Story Merchant Client Dr. Warren Woodruff's Dad bought three billboards for the town in which he works to get some hype built up for HYSTERIA. Literally thousands of cars per day pass this sign in the tiny town of Spencer, Indiana, which is the crossroads from Indianapolis to Bloomington and Evansville. No way to get to these cities except passing through Spencer! He took four women he works with to the IU theatre in Bloomington, IN—the only place around showing the film. They all loved it! Te theater normally would have 28 -30 people go to see this kind of Indie films, but the place had over 100 people per night. Not such a fancy “billboard” but his heart was in the right place and it filled the theatre three nights in a row! You gotta love the advertising copy here! We hear it all the time: "the window for reviews is shrinking." And yet we still see reviews appearing everywhere. So how can you capture a share of this market? It's true that often reviews from big-name bloggers go to equally big-name authors. Well, can you blame the blogger? If someone had a choice between reviewing Shades of Grey and one of my recent books, I'm sure Shades would win and I totally get that, but it's hard when you're starting out. You often get reviews when you get reviews, so the old adage of "media draws media" is very true. Then where do you start? Year ago, when I was first in the industry, it was pretty simple. You could find a reviewer, send him or her a copy and that was that. Now, it's a lot different. Bloggers get hundreds of books mailed to them by publishers on a monthly basis, while book review departments in newspapers have either shrunk or been removed entirely. It's a whole new world. The good news is that there are still great opportunities to get reviewed, but you need to understand the new rules of exposure. Blogger reviews: Blogger reviews are still great (even though bloggers are busier than ever) but in order to get your fair share, I recommend networking with the bloggers. How do you do that? By following their blogs and posting authentic and helpful comments on their posts -- or by retweeting a review of a book that you particularly loved. Get to know the bloggers you'll be pitching to. They will also appreciate that you took the time to read their blog, instead of just pitching them. It's true with any kind of networking. You tend to go to the front of the line when you know someone, right? So get to know the bloggers. If you have a series of bloggers you are following who are influential but don't necessarily review books, you could ask them if they might let you guest blog or perhaps run an excerpt of your book on their website or you might coordinate a book giveaway with them. As a blogger myself, I love it when someone writes me for an interview and has actually read our blog. How do I know they've done this? Often they'll weave that into their pitch. 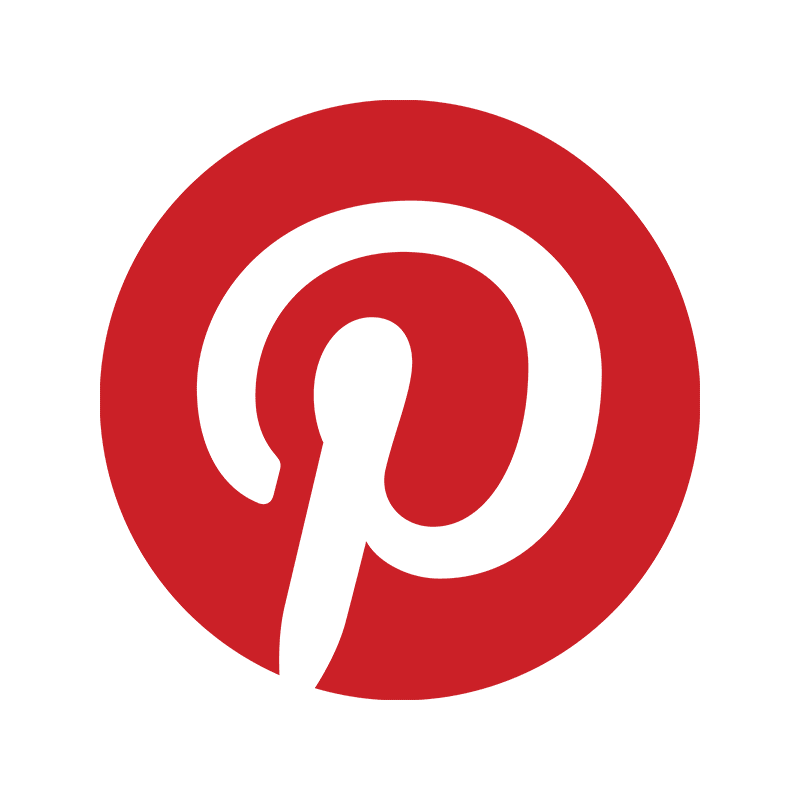 For example, "Dear Penny, I saw that you wrote about mobile marketing in January and interviewed Gillian Muessig in May, I think my topic would be a nice addition to your blog because..." See? Now that's much better than: "Dear Penny, I have an idea for your blog I think you might like..." there's a chance I will love it, but a far greater chance I won't because the person pitching just spotted our website and thought: "They might like this." It takes a bit more work to do it the other way, but your returns will be greater and you're also building relationships as you go, making the tradeoff worth it. 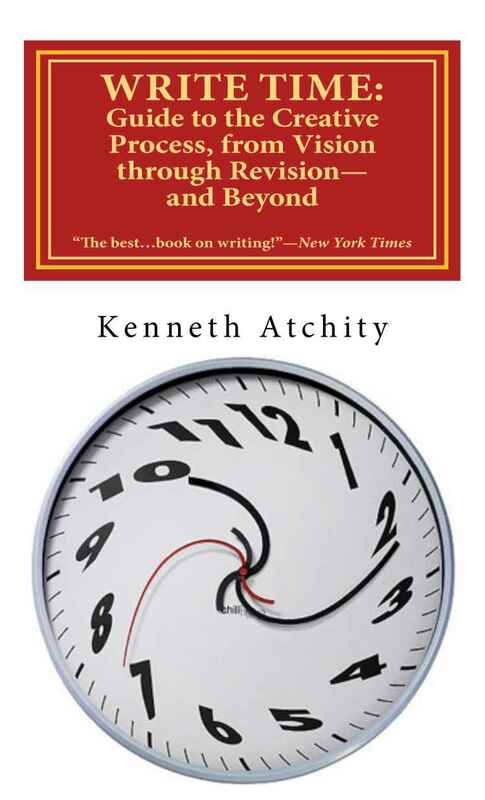 Review other books: In order to get reviews, you might need to become a reviewer. I know this might sound crazy. Who has time to review books? Well, that's how we got here in the first place, remember? 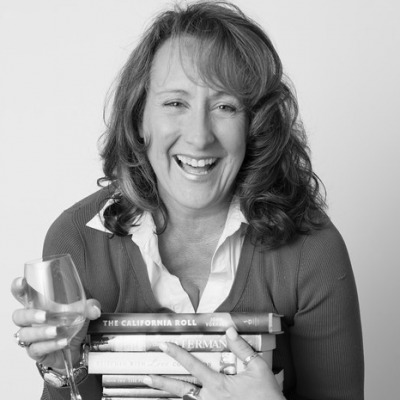 Reviewing other people's books (who write about similar topics to you) is not only a great thing to do for your industry but a great way to network. I review every book that's appropriate to my market (on Amazon). People love peer reviews, trust me. Imagine if the person you're reviewing reviewed you? See how that works? Make sure to send them the review when you're done. It's a boatload of great karma that could help you get some reviews, too. Media connections: With newspapers eliminating review departments, how on earth can you get some traction for your book? How about articles and write ups? And even when newspapers do reviews, it can still be a hard road to get them. Especially if your book is self-published, POD or eBook. With 1,500 books published each day, it's tough to weave through the maze of authors out there trying to get attention for their book, too. Here's what I recommend. Get to know the media in your market. Pick a series of newspapers in your immediate area or state. You can find a pretty good listing here: www.newslink.org. You can also select other areas, depending on your book, the reach of your topic or your business. Often smaller regions of the US will still have active review departments so be sure to check all appropriate papers for both reporters who write about your topic, and review department criteria (where they want you to send the book, etc.). By getting to know the reporters who write about your topic, you can network with them early (pre-release) by commenting on articles they've written, or offering them ideas or statistics for future pieces. Remember the networking piece for bloggers? That works here, too and it's a great way to gain attention for your book and get a mention or review in a local or national paper. Media Leads: I wrote an article on media leads, how to get them and how to respond to them. You can see it here and suffice it to say that the sooner you start with this (yes long before the book is out), the better. It's another great way to network with a reporter. Amazon Reviews: We've all heard of the big, top ten Amazon reviewers, but like any big-name reviewers they get inundated, too. Amazon is a great portal to expand upon and you should do whatever you can to populate your page with reviews because rarely do readers buy books "naked" (this refers to the book page, not the state of dress). I highly encourage you to review the Amazon list of top reviewers (folks who do post reviews on Amazon) and then pitch the ones that are right for your market. The lure of the top reviewers is that they possess a certain clout, but because of that, the other folks who are solid, faithful reviewers tend to get overlooked. Consider your options with Amazon, and definitely do your research and find some reviewers. Social sites: Websites like Library Thing and Goodreads offer another great opportunity. First, these communities have millions of very active members and a great place to garner reader reviews. Both sites have a great Reader Giveaway program that we love and use often; in exchange for handing over a free copy members (winners) are encouraged to post a review of the book. 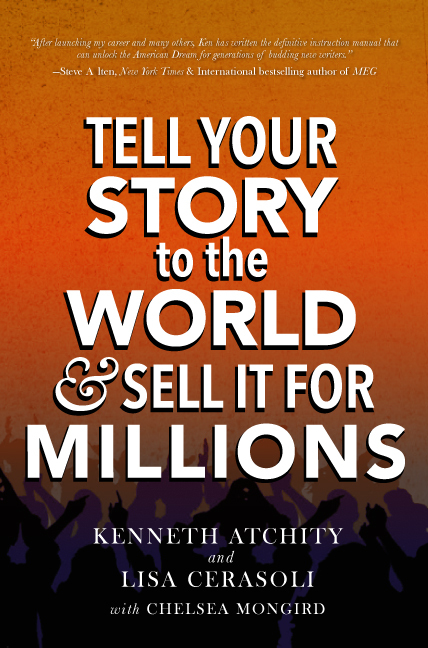 Very win-win if you're looking to get the word out there about your book. ... book signing to follow. Click on the link for details and to RSVP. In MRS. KENNEDY AND ME (Gallery Books; On-sale: April 3, 2012; Hardcover; $26.00), Clint Hill gives a first hand account of the four years he spent as First Lady Jacqueline Kennedy’s Secret Service Agent. In those four years, Hill was by Mrs. Kennedy’s side for some of the happiest moments as well as the darkest. He was there for the birth of John, Jr. on November 25, 1960 and for the birth and sudden death of Patrick Bouvier Kennedy on August 8, 1963. Three and a half months later, the unthinkable happened. Clint Hill is the agent who courageously ran onto the back of the presidential limousine in the midst of the shooting on November 22, 1963. While he was too late to save the president, he positioned himself on the back of the car in such a way as to ensure that any remaining shots would hit him instead of the First Lady and the already fatally wounded president. 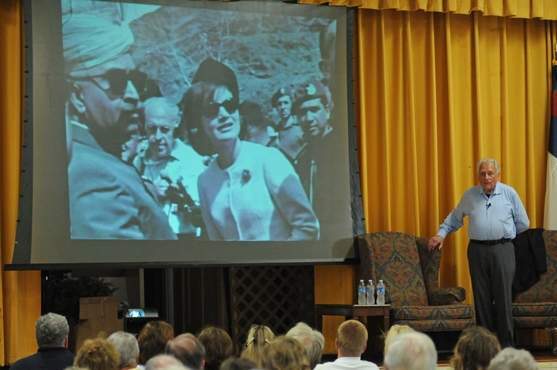 Hill is best known for the role he played that dreadful day, but the story of his earlier time alongside Jacqueline Kennedy is rich with amusing anecdotes from within the Kennedy compound, abroad in locations like India, Pakistan, Greece, and Italy, at the First Family’s country home in Middleburg, VA, and everywhere else the First Lady traveled during that time. He was there for it all. Written with award-winning journalist Lisa McCubbin, MRS. KENNEDY AND ME gives context to many of the countless iconic images of Jacqueline Kennedy as Clint Hill was there, behind-the-scenes in most cases. 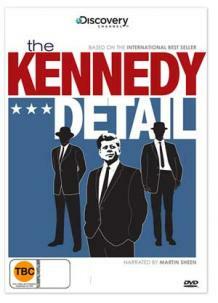 Some of the highlights and revelations from the book involve: a conversation President Kennedy had with Hill regarding Aristotle Onassis prior to a trip to Greece in 1961; Jackie’s attitude towards taking shelter during the Cuban Missile Crisis; JFK’s last birthday party, aboard the U.S.S. Sequoia; and many other never before told stories of funny happenings and tender moments. An intimate memoir of their unique relationship, MRS. KENNEDY AND ME offers insight into the Jacqueline Kennedy few people knew. Author Interview - Warren L Woodruff - On My Addiction Books! 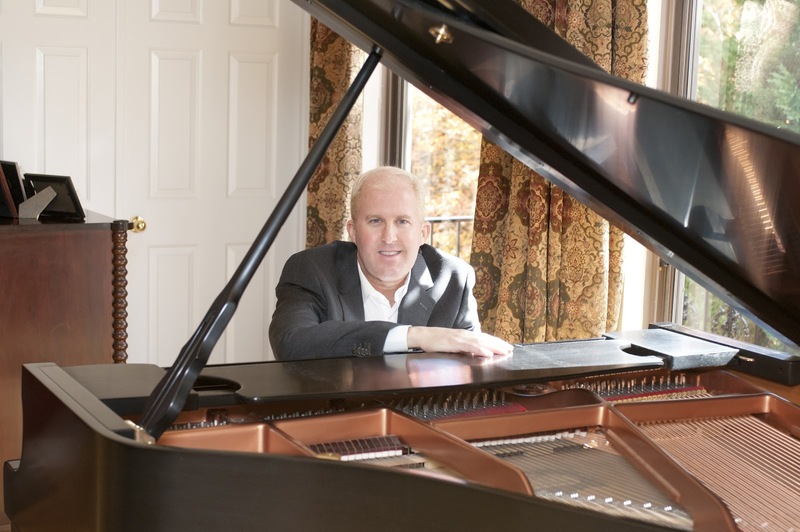 Dr. Warren L. Woodruff is a passionate music instructor whose affection for classical music led to the creation of Dr. Fuddle and the Gold Baton. We are honoured to be able to do an interview with someone of such talent. Warren, how long have you been in the classical music industry? I’ve been teaching for 26 years, but playing classical music for almost 40 years. What inspired you to cross the boundaries from musician to author? I’ve always wanted to inspire others through the joy of great music, not just through my many students, but in written word. I’ve also faced a lifelong challenge like Beethoven, a degenerative hearing disorder, which threatens my musical career, so I wanted to leave a written legacy, since I am not a genius composer like Beethoven. Do you find the title of author to merely be an added side to your musical side or do you treat them as separate personas? They are definitely separate personas. I will always be, first and foremost, a musician, even if my hearing disorder has other plans! But being an author is very important also. Other than writing the series of Dr. Fuddle novels, screenplays and picture books, I have many other written projects I would like to complete, all of them musically oriented, except for one, an unpublished manuscript on religious philosophy. 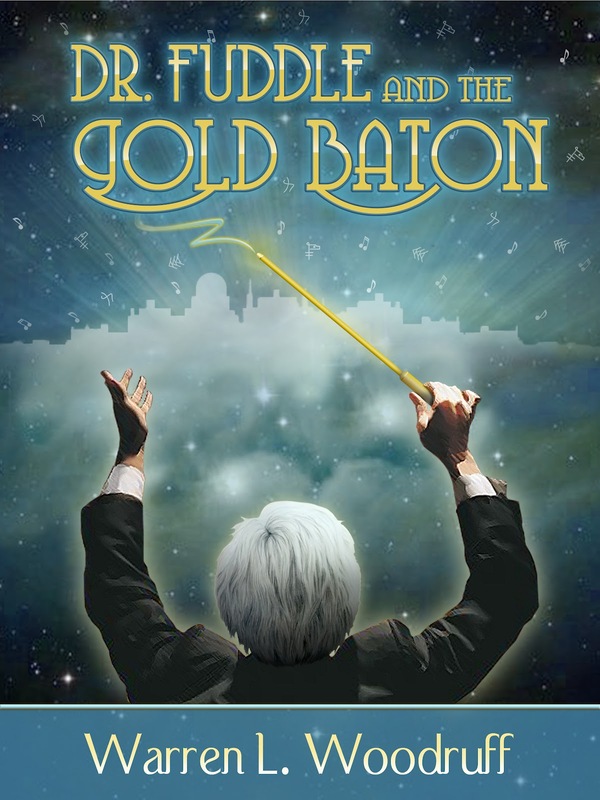 What is your goal behind this novel of Dr. Fuddle and the Gold Baton? My goal is to create something classic and very different in today’s market--not something that will just be “hot” for a few years and forgotten. The driving force behind each story is mystery and adventure, to engage and entertain young readers. But I also want to pique their interest in music, particularly classical music, INSPIRE them to excellence, and to find their lifelong passion, as I found mine at a very early age. From the synopsis I was provided the novel seems to create an adventurous flow between music and an exciting storyline. Can you please tell our readers a bit more? What can they expect from reading it? They can expect a very fun reading experience, even if they have no knowledge of classical music. This book is not an educational tool to promote my art form. It is an adventure from beginning to end, which happens to be set in the musical, magical land of Orphea. They can also expect to feel a longing to hear the music described in the book and a desire to see the whole story played out as a major motion picture, which is in development. Does the novel contain some of the beautiful sketches that are beside your characters on your blog? Yes. All of the artwork is incorporated into the book at the appropriate places in the storyline. What age group and genre are you targeting? This first book, middle grade, from 6th-8th grade, but I’m quickly getting feedback that my adult readers are enjoying it every bit as much as the target age group, just like the HARRY POTTER series. As my series continues, the protagonists will age, and the target age group will become Young Adult. How has the novel been doing in the open market? 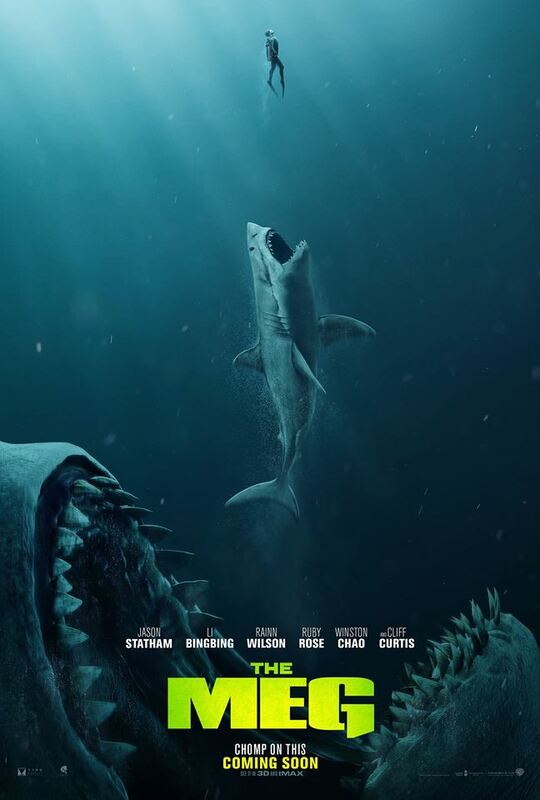 We had thousands of downloads the first weekend and have already gotten twenty-three five star reviews, plus feedback from many readers saying they can’t wait to see the movie! From a little googling I noticed that there is also mention of another novel called First Lady of the Organ, Diane Bish: A Biography can you give our readers a bit more insight to the novel. This biography was an extension of my Ph.D. dissertation on the most important and visible female organist in history. She is still alive, performing and signing these biographies at her concerts. The book was self-published in 1994, but is still selling. Talk about a project with longevity! 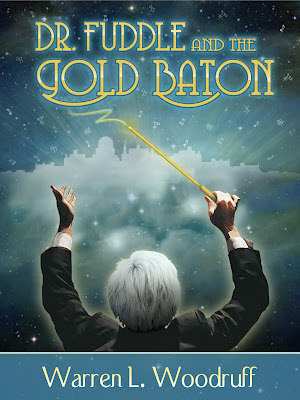 Right now, DR. FUDDLE AND THE GOLD BATON is available exclusively as an e-book for one year at Amazon.com, but the hard copies are also available at Amazon, and other web stores. Autographed copies will be available through drfuddle.com and drfuddlesmusicalblog.blogspot.com. Are you working on anything else currently that we should be on the lookout for? Yes. I’m working on the next book in the Fuddle series, which will be a prequel to the first book, the back story of how things “got to how they got in Orphea” in the first novel. I’m also redrafting my stage play entitled BEETHOVEN. The dramatic rights will be made available to smaller, off-Broadway type venues. It is the moving account of the life of Beethoven, my greatest hero, in six scenes, with narration and music. Eventually, when the timing is right, I will publish my book on religious philosophy. How has your journey been on becoming an author? From a general public perspective I always assumed it was something easy. You write and then you send it in, if people like it they go for it, if they don’t you try someone else. The perception is not at all the case, writing in its own sense is an art. I’ve mostly just written with ease from the heart in a state of inspiration. Oftentimes the writing experience has seemed--for lack of a better word--supernatural. Parts of DR. FUDDLE AND THE GOLD BATON felt as though I was receiving the words from an unseen source, like it was writing itself. This was particularly true of my book on religious philosophy, too, as though my fingers were moving rapidly on the keys, like an automatic dictation for hours on end, as strange as they may sound. But there were also some times, not often, where writing just seemed like hard work. Do you have any messages that you would like to leave our audience with? Open your hearts, minds and imaginations to the totally new world of Dr. Fuddle and Orphea! Be ready to experience literature and music in a way you never dreamed possible. Thanks so much for taking the time to do this small interview. We wish you well in all your future endeavors.